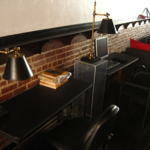 Welcome to the Hostel on 3rd, a very young hostel in a very old building (recently renovated! 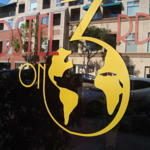 ), located in the heart of San Diego’s Gaslamp District. Looking for a night out on the town? 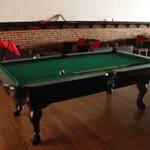 We are just a block from the exciting nightlife of the Gaslamp District. Looking for a quiet night's sleep? Our building is located in a residential block, guaranteeing a quiet, restful night. 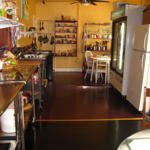 We have a spacious common kitchen on the 2nd floor. We have a large common room on the 1st floor, where there are board games, youtube and netflix on tv, a combination ping pong and pool table, a guest's computer, and free wifi. We are in the heart of San Diego Gaslamp District. Please note: Cancellation Policy: 2 days before the arrival. Same day cancellations and no-shows will be charged for the first night. General deposit of USD $20 per person collected in cash at check in. Taxes are included. We require a valid, government issued ID to check-in. We do not accept United States passports. If you are a foreign citizen, you must provide a valid passport to check-in. We do not allow local San Diego County residents to stay at our facility. Our maximum stay is 14 nights within a 365 day period. From I-5: Take Front St. exit, turn left on Market. Turn into 3rd and Market, hostel is on your right. Train: Take Bayside Trolley to Convention Center. Walk North 3 blocks on 3rd to Market. 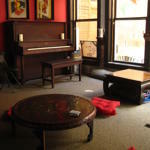 Hostel is on your left right before market st.
Greyhound Bus: Walk East to 5th. Go South 4 blocks to Market. Walk to 3d and market, make left into 3rd and hostel is on your right. Airport: Take bus #992 to 5th Ave. and Broadway. Walk South 4 blocks to Market. Walk to 3rd Avenue and Market Street, make a left into 3rd and the hostel is on your right. Or you can take a taxi from the airport which will run ~$12.